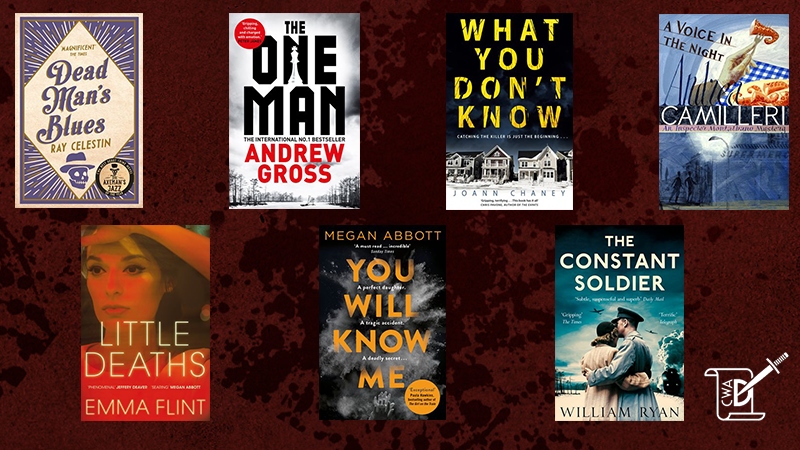 We're thrilled to announce that seven Pan Macmillan crime authors have been longlisted for the 2017 CWA Dagger Awards. Pinkerton detectives Michael Talbot and Ida Davis are hired to locate a missing heiress. But it proves harder than expected to find a woman known across the city. After being called to a gruesome murder in Chicago’s violent Black Belt, crime-scene photographer Jacob Russo can’t get the dead man’s image out of his head, and decides to track down the culprit himself. And with a group of city leaders poisoned at the Ritz, Dante Sanfelippo – rum-runner and fixer – is called in by Al Capone to discover whether someone is trying to bring down his empire. Intelligence lieutenant Nathan Blum decodes messages from occupied Poland. After the Nazis murdered his family, Nathan escaped the Krakow ghetto and is determined to support his new country - and the US government knows exactly how he can. They want to send Nathan on a mission to rescue one man from a place no one can break in to - or out of. Katie and her husband Eric have made their daughter Devon the centre of their world. Talented, determined, a rising gymnastics star, Devon is the focus of her parents' lives and the lynchpin of their marriage.